Autism is a spectrum disorder, meaning that there is a wide degree of variation in the way it affects every individual. Every child and adult on the autism spectrum has unique abilities, symptoms, and challenges. Many individuals and caregivers wonder how they can best help their loved ones and also find support for themselves. 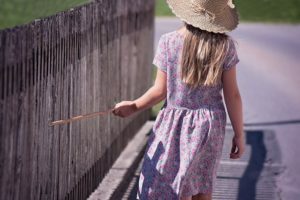 Not only do I have the capability to perform screening for both adults and children to determine whether ASD is present, but I also have a variety of therapeutic techniques to help with social and communication styles, mood regulation, sensory integration, as well as certain behavioral patterns. WHEN TO LOOK FOR SIGNS OF AUTISM: The onset of autism typically comes very early in childhood, and sometimes is noticeable before the child’s second birthday. A diagnosis of autism usually occurs before age three, however, if you as a parent or caregiver are suspecting any signs of autism, it is never too late to have them assessed. WHO IS AFFECTED: Autism exists in 1% of the population, affecting people of all racial, ethnic and socioeconomic groups. It is, however, more common in boys than in girls. The Centers for Disease Control and Prevention (CDC) estimates that about 1 in 88 children have autism spectrum disorder (ASD). COMMUNICATION: Communication develops slowly and for some individuals verbal language does not develop at all. For others, language is highly advanced compared to their peers. SOCIAL INTERACTION: Difficulty detecting and responding to social cues such as eye contact or smiles; prefers to play alone and shows little interest in making friends. SENSORY IMPAIRMENT: May have increased sensitivity relating to senses (light, noise, smell, taste and touch). The individual may also have sensitivity or a craving of activities such as spinning, tickling, bouncing jumping etc. PLAY: Does not initiate play, does not engage in pretend play or lacks spontaneous, imaginative play, plays with toys in a rote manner. BEHAVIOR: Throws tantrums for no apparent reason. Fixates on a single item, person, subject or activity. Has difficulty changing routine. May be aggressive towards self or others. May be overactive or passive. MEMORY: Has exceptional memory skills from a young age, can remembers numbers letters patterns quickly. Can also possibly recite what he or she was watched or heard from a song or movie for example. It is important to note that this list only contains a small portion of behaviors that are included in the ASD diagnosis. Please contact me for more information or to schedule an initial assessment.